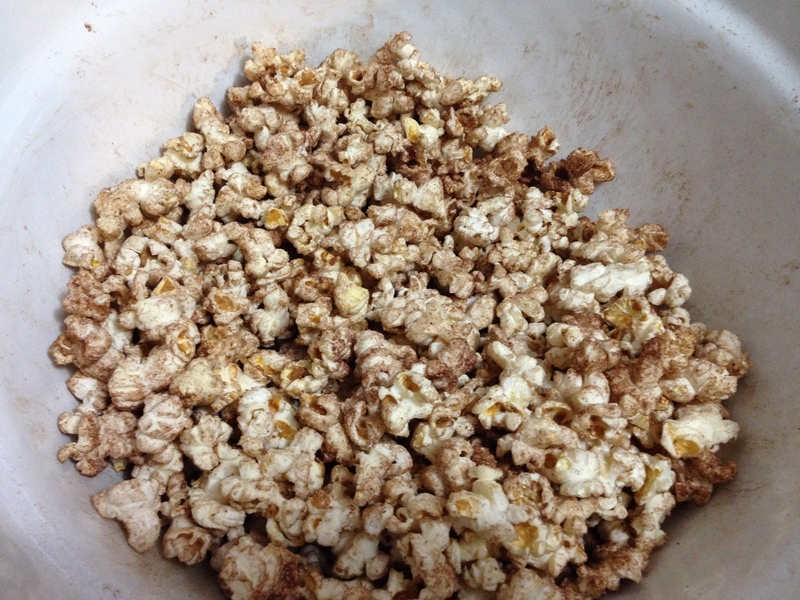 Chocolate Popcorn…yes, you read that right. Look away before it hypnotizes you! You know those foods that taste so good that you just can’t stop eating them even though they are super rich and they kind of make you feel sick? This is one of those. I was literally moaning in pain as I continued to jam this popcorn into my face. It is so good. It tastes like hot chocolate and popcorn together. It’s salty. It’s sweet. It’s chocolate. It’s really easy to make. It’s much harder to make yourself stop eating. I recommend making this for a party or making a much smaller batch if you plan to split it with a friend on the couch. Ok, full disclosure… I made a poor choice of cocktail pairing. I had Kahlua and coke with it. Kahlua and coke is good, by the way. It tastes like chocolate coke. What it also is is very rich and sickly sweet. Kinda like the popcorn. Perhaps something more bitter or savory like a stout would be in order. Or, again, learn self-control. …. beer it is. Enjoy in moderation, as they say. I’ve been craving sweets a lot lately (probably because I can’t drink alcohol for a few more months), but starting two weeks ago I am really trying to reduce the amount of sugar I am eating. I’ve been told my fair-freckly skin puts me at higher risk for gestational diabetes. 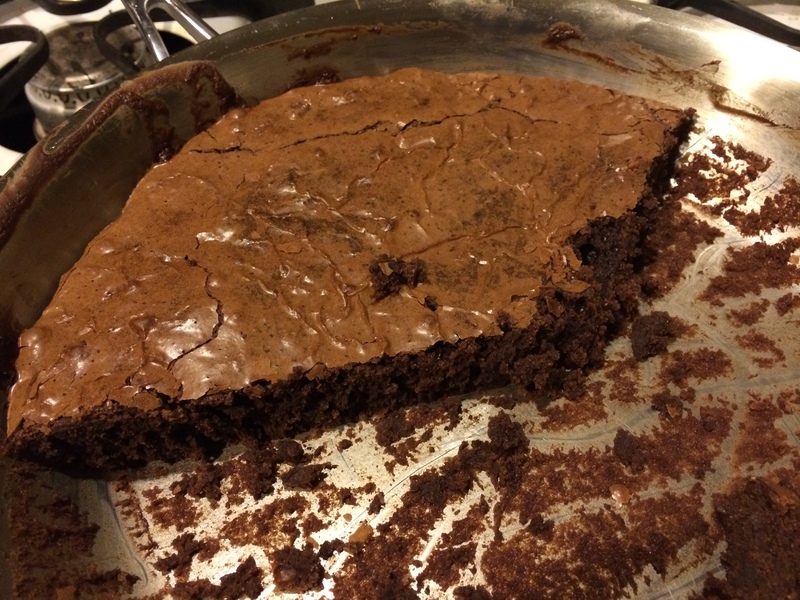 Something I don’t want to experience for several reasons….Anyways the fudgy skillet brownies looked too good to pass up! This was a simple brownie recipe with the average brownie ingredients, which are staple in most pantries. Unfortunately, I found out the evening I was going to make the brownies that the bittersweet chocolate wasn’t a staple in my pantry anymore. So, I strayed from the recipe a little bit. I used semi-sweet chocolate and removed the ¼ cup of sugar. Other than that I stuck to the recipe, baked the brownies for about 45 minutes and let them sit for about 15 before I dug in. 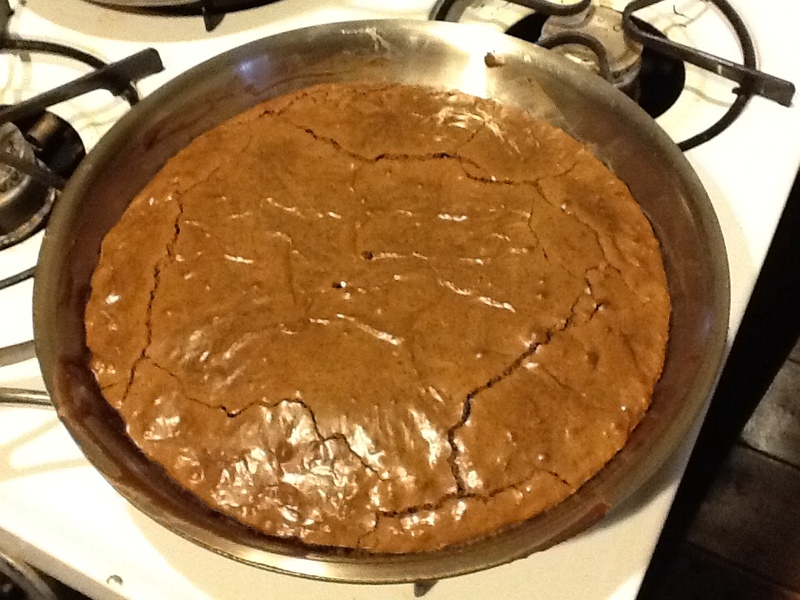 The warm fudgy skillet brownies were a hit! P and I had them warm that evening and they were delicious. They came out of the cast iron skillet like perfect pie wedges and completely satisfied my sweet craving. The brownies sweetened perfectly, so using the semi-sweet chocolate and removing the sugar, worked out just fine. Later that night I cut the rest of the brownies into ‘squares’, to store them in an airtight container. The brownies didn’t come out of the skillet quite as nicely as they did earlier. Maybe these brownies are made to be ate in one sitting by a group of people! The next day I couldn’t wait to get home and have a brownie for my afternoon snack before I walked the dog. The snack may have turned into two brownies (I have no self-control when it comes to food). The fudgy texture was very apparent the following day. I hadn’t noticed the dense texture the night before. The day old brownies had something new to bring to the table. 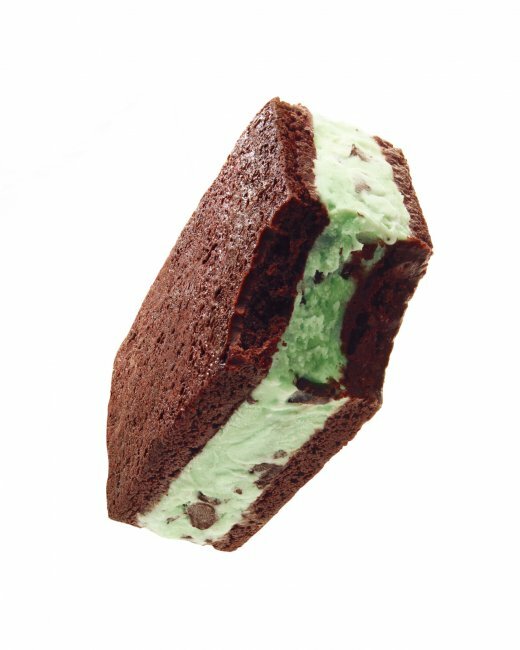 Nothing beats a warm brownie, but a cold fudgy brownie comes pretty close. 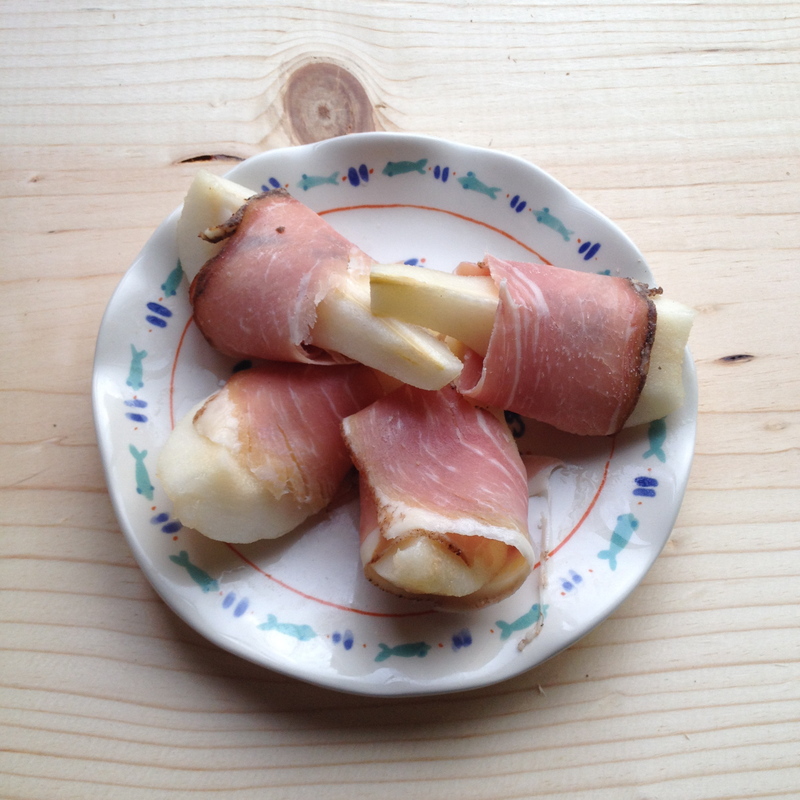 This has been one of my ‘go-to’ recipes since 2010. The healthy morning muffins are a great item to bring when you are spending the weekend with friends and/or family. They travel well and they really are a healthy morning or afternoon snack. My nieces (5 and 3 years old) love the muffins and I haven’t met an adult yet that hasn’t liked them. 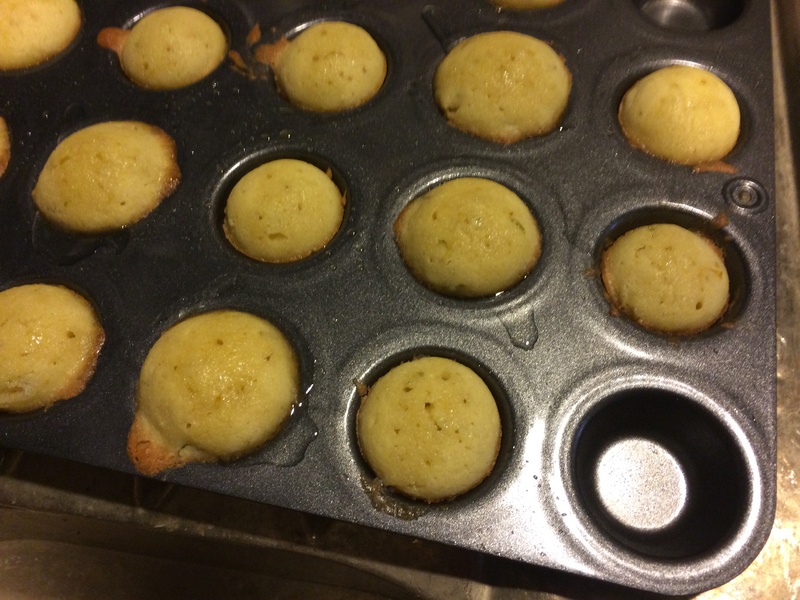 Over the past four years I’ve experimented a bit with the muffin recipe (purposefully and by accident). Once, I bought 1-minute oats. (I must have been in a rush at the grocery store.) 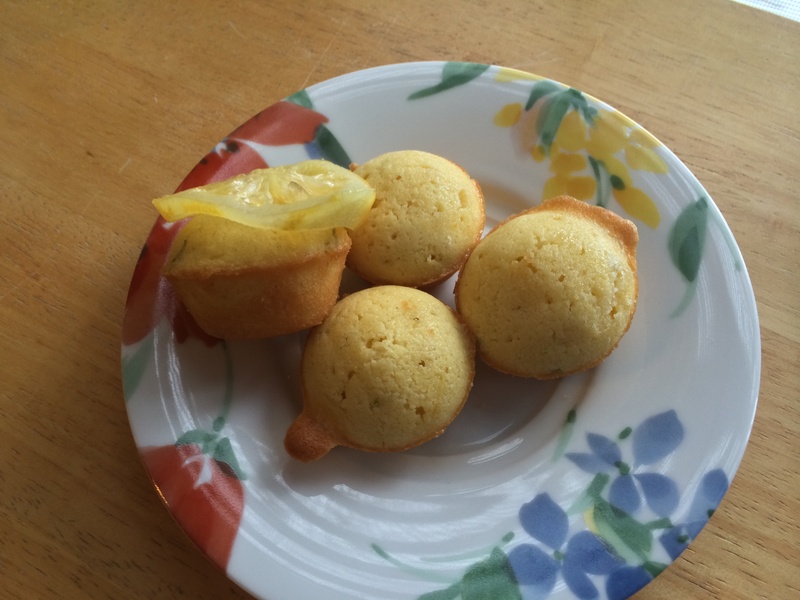 The muffins came out fine, a little drier than normal and less texture. So, I would highly recommend rolled oats (what the recipe calls for), but if you make a mistake at the grocery store, it’s not a big deal. I’ve also experimented with shredded zucchini. Which is very good. I substitute some of the carrots for the zucchini, but not all. My carrot measurements are always different. I always use 4 carrots; whether they are medium or large, it doesn’t matter to me. The more carrot the better. 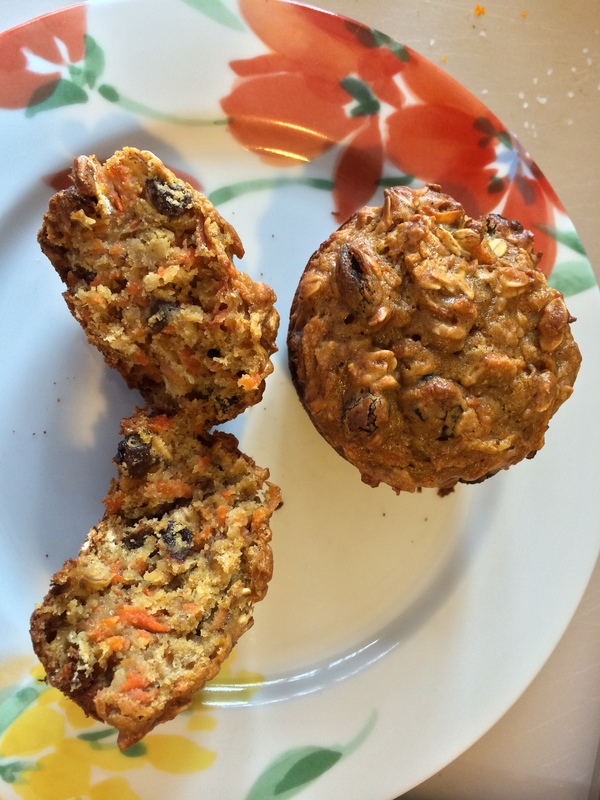 You just may need to cook the muffins longer if you put larger carrots in the batter. The muffins are like carrot cake without the frosting. They are very moist, and the flavors from the carrots, banana, and raisins complement the other perfectly. The muffins are very sweet naturally and therefore a large amount of sugar isn’t required. During the summer, my bananas go bad much faster than I can eat them. I’ve made several double-batches of the muffins. Leaving some for now and the rest I will wrap in aluminum foil, put that in a freezer Ziploc bag, and then into the freezer. That works out perfect if I don’t have time to bake something when we go visiting, or if it’s too hot to bake. Great recipe! Highly recommend it! The pages of my issue 69 are beginning to stick together, good thing my favorite recipes can all be found online too. Where to begin. First of all, I had been driving all day. Like all day. I got in the car around 9:30am and aside from a couple of brief stops, I drove until arriving home at 8pm. I had looked at the recipe before I left for a weekend away and had bought all the necessary ingredients. I thought it would be something I could throw together quickly when I got home if it was late. Well, I was right about that part. Although, it was obviously quicker since I forgot the entire bean component. Yeah, I threw it together without looking at the recipe again. So I had sausage, cheese, green chiles in place of jalapeños, and black olives. Super easy! Super tasty! I bet it would be great with the beans as well… And like a recipe that might actually belong in a magazine and not like something a bunch of college kids tossed together when they got home from the bar on a Friday night. And yes, I also forgot the picture. Moral of the story. Don’t trust yourself to cook for a blog after a day of driving. In fact, don’t trust yourself to cook at all. Maybe just pick up some take out. I think you should try this recipe. And then tell me how it actually tastes. Look! I took a photo with adequate lighting!! I decided to make this on a Saturday afternoon. And yes, it was good. But as the title says, it pretty much tasted like hummus. The only thing is, I like other flavors in my hummus as well, like garlic, or roasted red pepper, or kalamata olives, or well pretty much anything. This just fell a little flat in comparison. I also have gotten used to the Stacy’s Pita Chips which have the perfect amount of salt (I also really enjoy their garlic parmesan flavor) so these fell a tiny bit flat in comparison as well. The one aspect of this dip that I did really like was how fast it was. 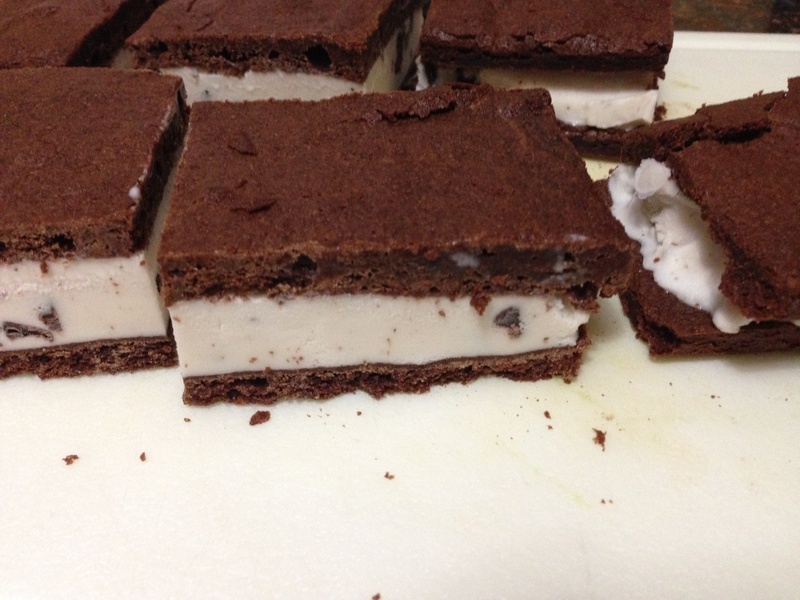 You don’t have to “food process” (that’s a verb right?!) it as long as you do chickpeas to get a nice smooth texture. 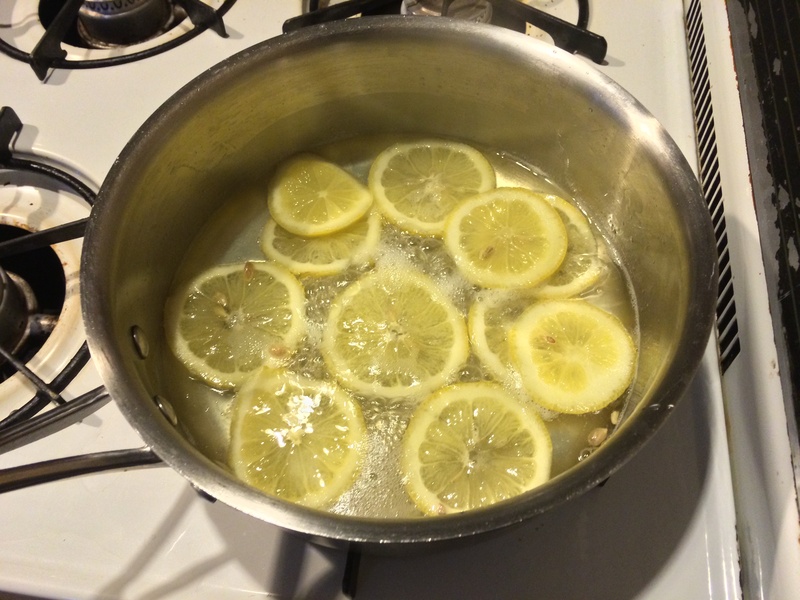 I also really liked how nice and bright the lemon juice was. All in all, it was a pretty decent snack. 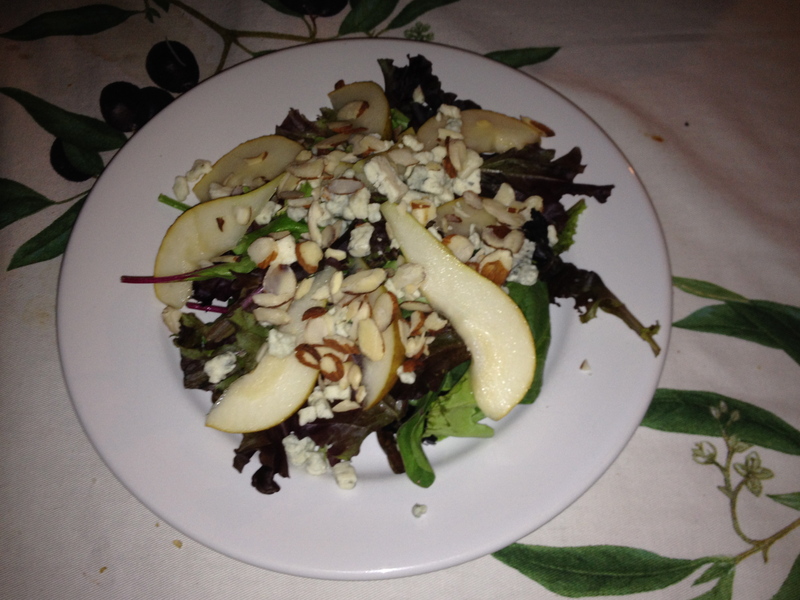 I would totally be on board to make it again, but I would probably add something else to make it a bit more flavorful. I think parmesan would be a good and easy addition. 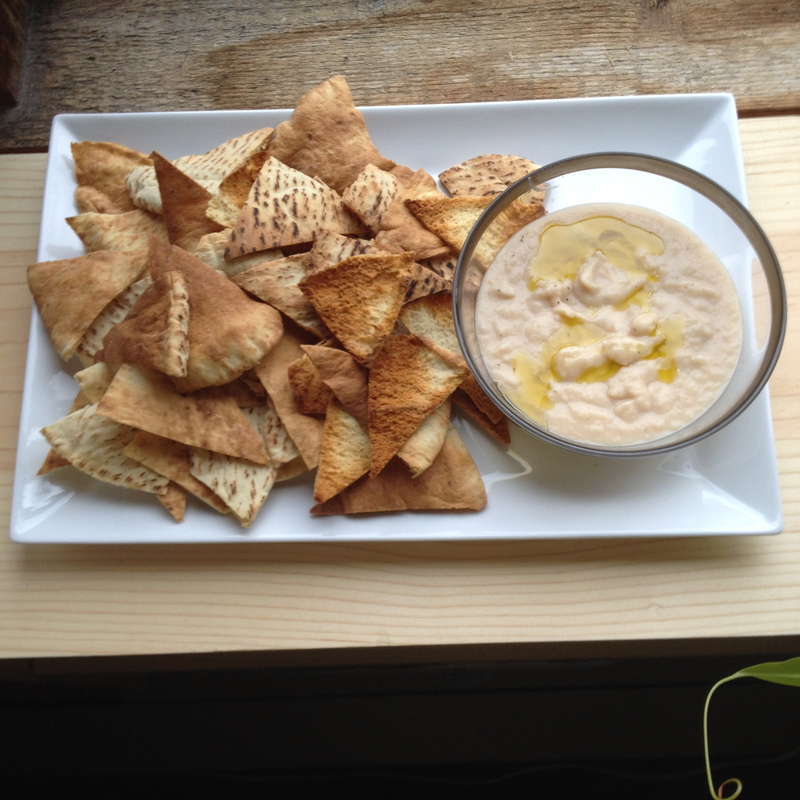 Has anyone else made a white bean dip before? Have you found it to be a little less thrilling than hummus? I have to admit that once again, I went rogue on this recipe. The first major issue was that the recipe did not call for cinnamon. I mean, who ever heard of an oatmeal cookie that didn’t have cinnamon? I had to remedy that. I added a teaspoon. Second, I added craisins instead of raisins or dried currants. Third, I used coconut oil instead of vegetable oil. And finally, I used the quick-cooking oats. Mostly because I was half way through the recipe before realizing I had the wrong oats. I noticed that my dough yielded far fewer cookies than the recipe claims. It says it makes 18 – 20 and I got 13. 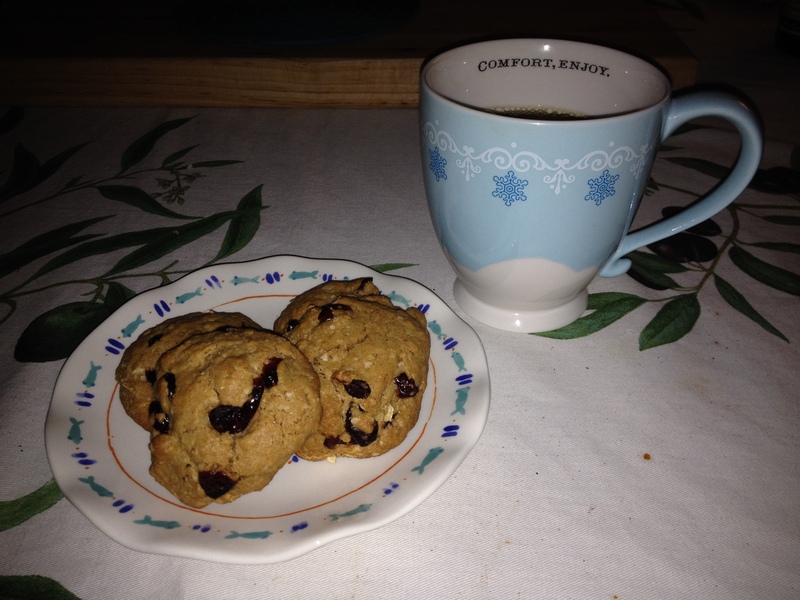 I would also say that I was a little conservative on the two tablespoon size cookie balls. If I hadn’t been I might have gotten 10? Maybe this is all an issue because I used the wrong oats but it is hard to say. Once they were out of the oven, I did enjoy them. I had mine with a nice cup of ginger tea. I wouldn’t say they are better than standard butter filled oatmeal cookies, but they were pretty tasty for being “healthy”. 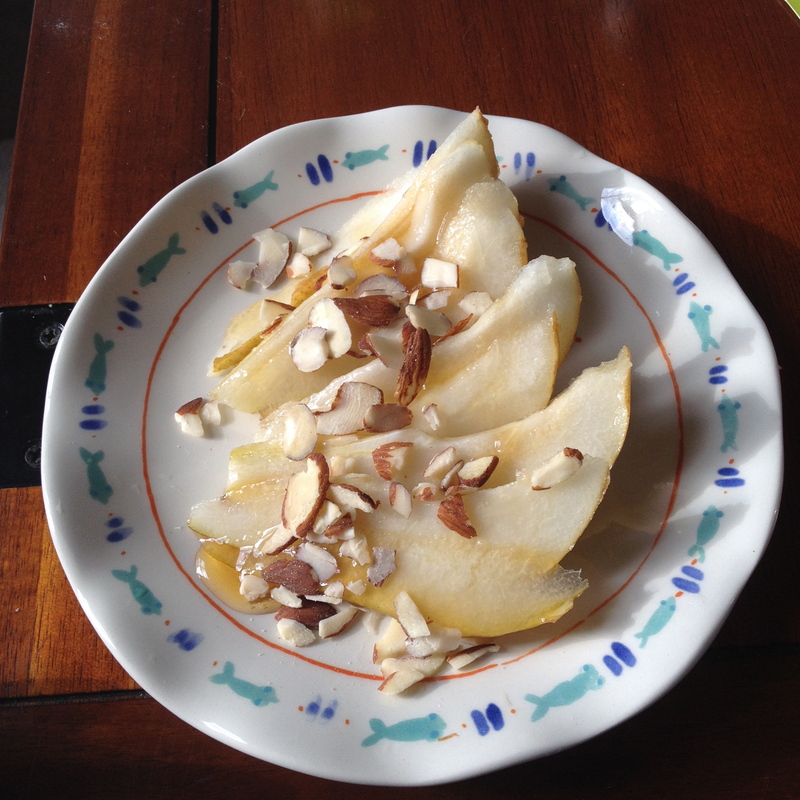 I hate to dislike a reader-submitted recipe. It makes me feel unkind. So I’ll say that these aren’t bad so much as they are bland. It’s an easy and quick recipe. There are only three ingredients: yogurt, sugar, and frozen raspberries. 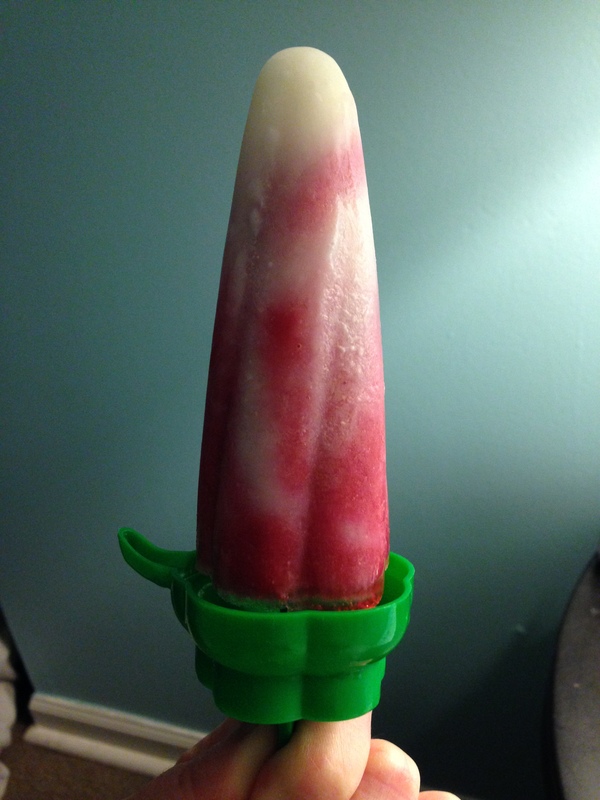 I halved the recipe because I only have four smallish popsicle molds. I used our homemade whole milk yogurt, so you’d think it would be richer and creamier. The homemade yogurt is, however, thinner than the store bought stuff. Perhaps, between the extra liquid in the yogurt and the ice melting off of the frozen berries, this got watered down. I couldn’t get the raspberry/yogurt mixture and the yogurt to layer like they show in the magazine. The yogurt kept sinking while the raspberry stuff stayed on top. I solved that by plunging a chopstick into each mold to get the raspberry goo to mix in with the yogurt a little. This was not unlike what you do to make those sand art creations. Remember those? Those were very, very popular at my junior high. Here’s a link to buy my memories on Oriental Trading Company. Perhaps it’s my fault for using homemade yogurt. The yogurt that D and I make is whole milk (good for creaminess! ), but never quite so thick as commercial yogurt (bad for creaminess!). So maybe the mixture was too watery. I think I’d maybe try this again with commercial yogurt, or just stop trying to make popsicles. Why do I remember homemade popsicles being so good when I was a kid? Oh, wait. … Pudding… You win again, Cosby.